This skin was launched full and fully for advertisement purpose. Many of them like their website to target advertisements and they will search for simple advertisement websites. Here is the responsive skin for those who need advertisement websites. You can see lot of advertisement sections in the front page itself. Moreover it’s a three column website with needy advertisement section as customer can place the ad code to display the ad. You have 468×60 size ad in the top right side of the header. Next to the navigation menu you can see two advertisement sections. One at the left with 728×90 size and the other at the right side with 300×90 size. In the main container section left side you have 160×600 advertisement section. Finally, for each single post there is a 300×250 size advertisement floating to the right side of the content. 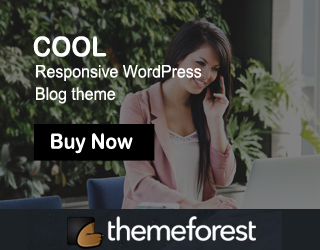 This Responsive Ad skin supports Google Adsense advertisement. This is a blog page of your latest posts with three column page. Left side contains the ad, center side contains the latest posts and the right side contains the widget section. For a simple introduction to your business you can go for Landing Page. Here you have two Landing pages. If you like Thesis Responsive Blog Ad skin , Share with your friends. 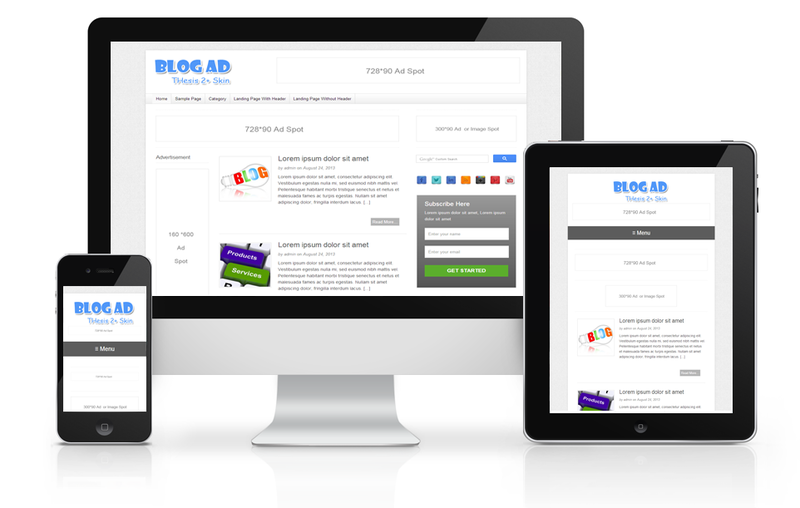 If you have any doubt regarding Thesis Responsive Blog Ad skin , feel free to contact me.